There's just something about this unlikely combination of Grapefruit and Mint that cheers the very soul. Sure to make your heart smile! 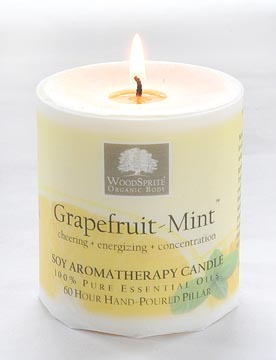 Pure Essential Oils of *Organic Grapefruit, *Organic Sweet Orange & *Organic Peppermint. (*Certified Organic) 100% Plant-Fiber, Unbleached Wick. 60+Hour Burn.